KitchenIQ Edge Grip 2 Stage Knife Sharpener $5.99! 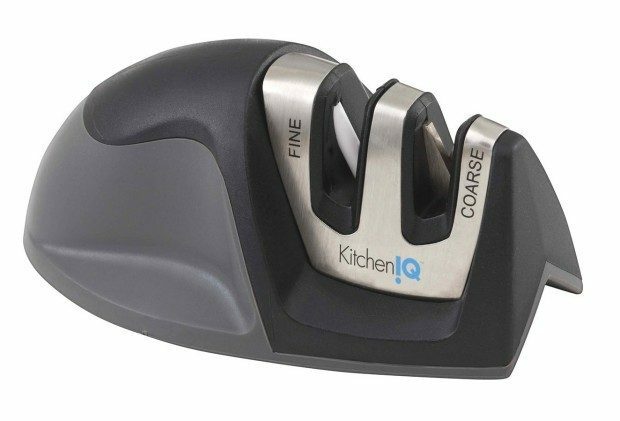 You are here: Home / Great Deals / Amazon Deals / KitchenIQ Edge Grip 2 Stage Knife Sharpener $5.99! Sharpen up your kitchen knives before the holidays! Head over to get the very highly rated KitchenIQ Edge Grip 2 Stage Knife Sharpener for only $5.99! Shipping is free on orders of $35+ or if you have Prime!